I've read most of the Spenser novels, but missed this one, and because I seem to be on a detective/crime novel binge, just plowed through it last night. First, let's be clear; it's an homage to The Seven Samurai (the Magnificent Seven, actually) and Parker does a good job of hinting at -- but obscuring -- the "surprise" plot twists. It contains all the elements; an obvious bad guy -- and a whole bunch of people who are not at all what they seem. 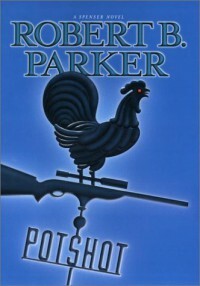 The final shootout is a teensy bit lacking in tension, but overall, it's one of Parker's better later efforts (some of which felt a little rushed).